Here's a great website we'd like to share giving you up to date news and information on your favourite pork products. Love Pork is a website filled with the latest news around Britian about all our favourite pork products. This website contains lots of facts and information you never knew about bacon, details about all its nutrition and lots of delicious recipes to try at home! Just click the link below the picture to go ot the web page. Here's an interview of Director Matt Hardman by one of the UKs leading business magazines, Business Matters. In this interview, Matt Hardman talks about The Bacon Factory's success and rapidly growing business, delivering bacon products all over the UK, and exporting to EU countries and further afield. The Bacon Factory are delighted to share a recent news article about our company which was published in the Telegraph. 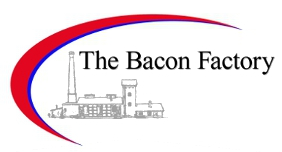 The article includes information about The Bacon Factory exporting our wide range of bacon products throughout the UK, to EU countries and further afield.